I have been writing a bit about homeopathy lately, which may not seem like the most important CAM method to focus on since it is not widely practice and since the remedies, being only water after all, are themselves usually harmless. However, I have found that wherever there is a pseudoscientific theory of veterinary medicine, and wherever there is vehement opposition to vaccination, commercial pet food, and many science-based medical interventions, there is often a practitioner of homeopathy behind it. Homeopathy is, ideologically, a parallel universe where the rules that govern the physics, chemistry, and biology of our universe do not apply. Though it is sometimes marketed as compatible with a scientific outlook, or even as a legitimate science itself, it is truly an alternative approach to health and deeply, fundamentally incompatible with science. The homeopathic community themselves know this, though they often try to avoid acknowledging it outside of their ranks. And while I’m sure there are the kind of internal disputes within homeopathy that plague every profession, those voices that present themselves as the mainstream, authoritative guardians of standards for veterinary homeopathy also indicate quite clearly that they do not consider it compatible with scientific medicine, which they view as at best good for crises only and at worst the cause of many of the problems they believe they are treating. 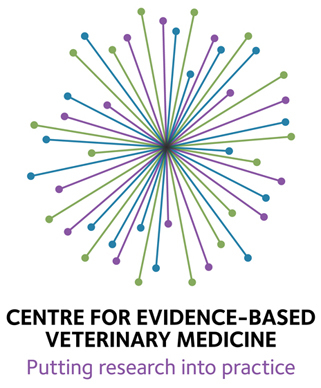 Vets or pet owners considering homeopathy should understand that they are dabbling in an approach which views all of mainstream science, and especially scientific medicine, as mistaken and often malign. 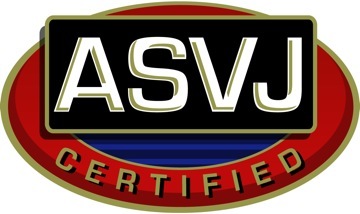 The following are excerpts from the Standards of Practice published by the Academy of Veterinary Homeopathy, which certifies veterinarians to practice homeopathy (though as I’ve mentioned before this organization is not recognized by the American Board of Veterinary Specialties, so this certification is only recognized in Homeopathy Land). These are mostly taken directly from the original writings of Samuel Hahnemann, the inventor of homeopathy and a figure often cited and revered even by those “mixers” among homeopaths who incorporate other treatment approaches into their practice. The most important directive from these sources is that the purpose and goal of homeopathic treatment is the cure of the patient. Cure is not left vague, but is carefully defined by Hahnemann to be the rapid and gentle restoration of health with disappearance of the whole pattern of the signs of illness. Not only is health restored, but it is also permanent, not requiring continued treatment with medication. Homeopathy by definition intends to cure every patient treated. Of course, the meaning of “cure” is not the standard one of eliminating the underlying cause of a disease since homeopaths often do not believe that what science identifies as a cause is really the source of the problem. Homeopaths would claim that a bacterial infection, for example, is itself only a symptom of a deeper imbalance or defect in the patient’s underlying “vital force,” a mysterious spiritual energy that Hahnemann proposed was the ultimate source of health and “dis-ease.” Since this vital force cannot be detected or measured in any way, treating it is all guesswork based on symptoms, of course, so it is a bit bizarre to claim it is conventional medicine treats symptoms and homeopathy treats the “true cause” of disease. 1. Only the remedy that is homeopathic to the patient is to be used. 3. Use of acupuncture and moxa is not compatible with homeopathic treatment because of its effect on the vital force of the patient. 4. Treatment of symptoms by electrical or electromagnetic application is to be avoided because of its tendency to suppress symptoms in the patient. Use of electricity and effects of magnets are suitable in treatment when administered according to homeopathic indications only. 5. Only one homeopathic medicine is to be given at one time. 7. The patient should receive nutritious food which does not, in itself, have medicinal effects. 8. Symptoms on the skin or surface of the body that have expressed as a localized lesion are not to be treated in a vigorous way with the intent to cause their disappearance or by surgery to remove them. These are to be treated primarily by internal homeopathic treatment. Clearly, many homeopaths do not follow these “classical” guidelines. Giving multiple homeopathic remedies and combining homeopathy with acupuncture, TCM remedies, herbal medications, and even conventional treatments is common. Such “mixers” might argue that their practices are the result of development in the knowledge available to homeopaths since Hahnemann’s time. This misses the point that such development is merely the adding of guesswork and intuitions to Hahnemann’s original guesswork an intuition. All the development in mainstream science, which demonstrates the uselessness of homeopathy, are generally ignored. And given that the justifications given for using homeopathy are primarily based on Hahnemann’s original theories, it is quite inconsistent to pick and choose those dicta you want to follow and those you want to ignore. This is the hallmark of a religious faith, not a scientific healthcare approach. The AVH recognizes that these rules are often breached and has some rather stern things to say about this. In spite of the careful elucidation by Dr. Samuel Hahnemann of the essentials of homeopathic practice based on his 50 years of clinical experience, many people have chosen to develop different forms of practice. Most often, the deviations consist of dropping one or more of the methods of practice elicited above. 1. Giving more than one remedy at a time. 2. Not keeping detailed records of symptoms. 3. Mixing therapies so that the homeopathic remedy is counter-acted by use of non-similar methods of treatment or so that the patient’s response to homeopathic treatment is confused and proper evaluation is not possible. 4. Eradicating or suppressing a localized lesion. 5. Injecting remedies into the body rather than administering by mouth. These few examples convey the ways in which practices can differ. The difficulty is that those homeopathic physicians who have successfully followed Hahnemann confirm that only careful adherence to the details of his method will result in consistent cure of patients. It therefore becomes a problem when practitioners, on their own, decide that certain parts of practice are not necessary (as outlined above). This leads to confusion among clients (who expect a consistency of treatment) and division among practitioners who cannot agree about an approach to treatment. A further difficulty is that the Academy of Veterinary Homeopathy will be a representative organization in the sense that if a homeopathic practitioner is challenged, this organization will be asked to evaluate the situation. If a practitioner has not adhered to Hahnemann’s method, then it will be very difficult, if not impossible, to make a favorable evaluation. For these reasons, it is necessary to establish standards of practice, e.g., state what the essentials of practice are. In establishing the Academy of Veterinary Homeopathy it was decided that the best standard is that given by Hahnemann’s writings, as described above. So the AVH says very clearly that not following the original guidelines of the founding guru is less effective and that the organization cannot vouch for any practitioner that deviates if they are accused of malpractice. However, the organization does allow for a few exceptions. 1. A patient is taken on for treatment who is already on allopathic medication that cannot be immediately stopped. While it is fairly clear that homeopathy is scientifically unsound theoretically and that the balance of the evidence is heavily against any meaningful clinical effects, it is sometimes easy to take the approach that it is at least benign and “might help” so why not try it. Perhaps this impulse can be opposed by a clearer understanding that “trying” it means, according to the leadership of the veterinary homeopathic community, giving up all mainstream scientific reasoning and practice. check out the VIN.com homeopathic ” website of the week “clinical research database. I think they should add miracles to the design selections in the research database just below the drug provings selection. That way we could see who has successful miracles praying as well as who has had successful drug provings.